I think DELETE is ^?, and IIRC there are one or two other screwy combinations to generate other “missing” characters. When you want to load the cvposb.hex into ddt after the main kermit module the line should read :- icpvosb.hex (note the i) not just cpvosb.hex. Without the i it won’t work. I know this is an old post but have to comment. Nice picture of the Osborne 1 second model. Glad to see there are still some working ones still around. 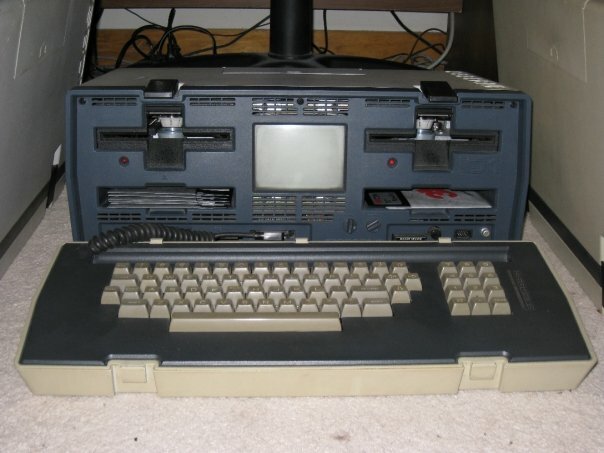 The above pictured one was my first computer I owned. I had written a dbase program for it keeping track of my then wife’s babysitting business. I enjoyed using it until it finally started to give out. The screen would start to flicker then cut out, destroying any disk still in the drives. I learned to get the disks out fast when that started to happen. I am currently trying to find a Osborne I emulator and software that can read disk images from the Osborne I, but having no luck at all. 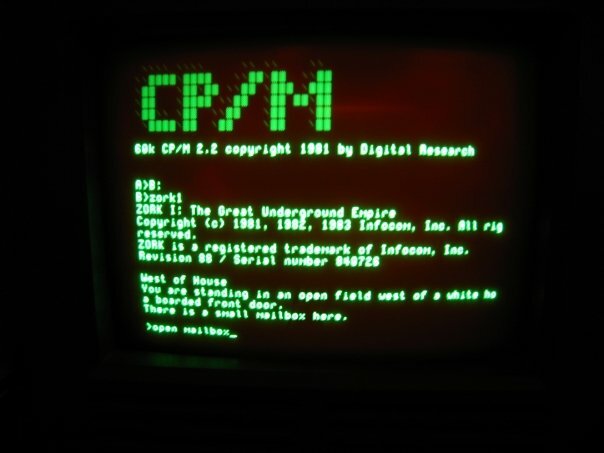 There are CP/M 2.2 emulators out there but I would like to once again see banner login screens and even save the Osborne files on the disk images I was able to find on the internet. One note, the DB-9 wasn’t designed for RS-232 serial, but for a ‘Modem-Pack’ that fit into the disk pocket under the right drive, and ran from a DB9-F to 10-Pin IDC short cable. the Modem-Pack was only 300-baud capable. (Bell 103 standard, direct-connect to the phone line.) There was a FOG (First Osborne users Group) modification BIOS ROM, which you could make a slight modification, turning the Modem-Pack ON line into a software baud rate switch, which handled the open/close state of the baud rate jumper (insteasd of fixed 300/1200-600/2400, you could use programs like LModem, & the BBS front-end, BYE, to software-switch between 300,1600,1200,2400. (the FOG version was 1.45, a slight change to the last Double-density 1.44 BIOS.) I used to run one of the last few RBBS-CP/M BBS’s in the North-east US. (YOUr-BBS), and it ran on the new BIOS.. I was lucky, prior to losing my home, to have extracted the ROM content. Thanks for the post! I’m currently attempting this.